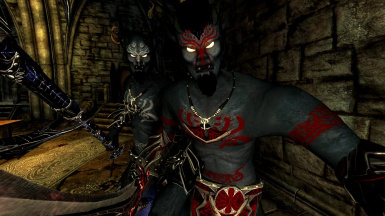 The high daedra Xivilai are bluish brutish humanoids, taller and stronger than a dremora, at service of destruction-oriented princes such as Dagon and Molag Bal. 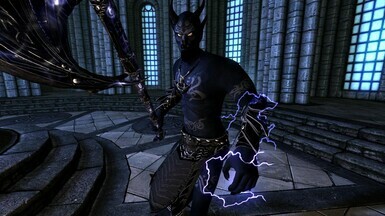 Xivilais form one of the main clans of Oblivion, the Xivilai Clan, alongside Dremora Clan they had a very important role in the invasion of Tamriel and Battlespire. The high daedra Xivilai are brutish humanoids, taller and stronger than a dremora, with bluish skin, red or white markings in their arms, chest, legs and head, white eyes, black goatee and horns that protrude from their forehead. They have long ears, a menacing look, and are depicted with long fingers and claws. Xivilai wear minimal clothing - the only protection they have is an armored kilt, gauntlets and kneepads, and a plating collar on their upper body. They utilize fireballs or shock magic, and have a strong spell absorption bonus. 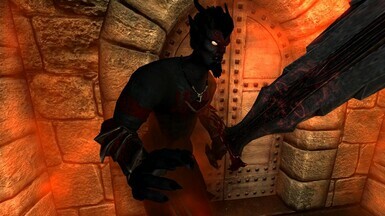 They carry a daedric greatsword or battleaxe, and are strong enough to wield this two-handed weapons in one hand. 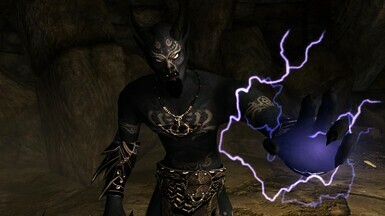 Commonly at service of destruction-oriented princes and realms, Xivilais had a important role in the invasion of tamriel in the oblivion crisis 200 years ago, alongside dremoras, and the lesser daedras, that they command. Pior to that they also had important role on the invasion and destruction of Battlespire. 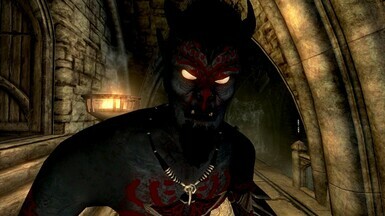 Xivilai clan is one of the major high clans of Oblivion, alongside Dremora clan, Xyvkin Clan (a xivilai-dremora hybrid) and Shardai Clan. 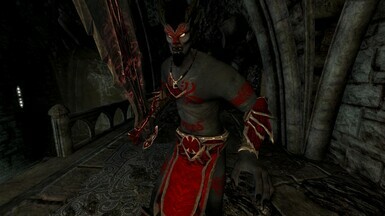 In Skyrim 2 variants are seen, the Xivilai (commonly dagon servant), with red marks on his body, hair, and a lighter skin, wielding a daedric greatsword and using fire magic, and the Xivilai Immolator (commonly molag servant), slightly stronger, bald, with darker skin, white marks, and using a big daedric battleaxe and shock magic. You will find Xivilai being summoned by high level conjurers, also serving as guardians on some mage dungeons, leading lesser daedra. 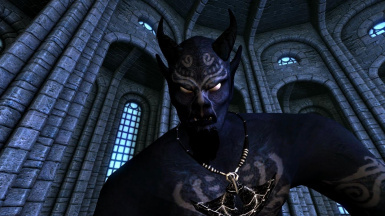 The spell to summon the Xivilai can be bought from some spell vendors such as falion and phinis gestor, and the spell to summon Xivilai Immolator can be find on a table on the inside of mehrunes dagon shrine after completing this daedric questline.